I read this article and found it very interesting, thought it might be something for you. 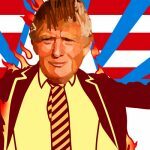 The article is called Why Mainstream Economists Are Responsible for Electing Donald Trump and is located at http://evonomics.com/mainstream-economists-responsible-electing-donald-trump/. Are mainstream economists responsible for electing Donald Trump? I think they deserve at least part of the blame. So, as it turns out, does Dani Rodrick. My argument is that, when mainstream economists in the United States embraced and celebrated neoliberalism—both the conservative and “left” versions—they created the conditions for Trump’s victory in the U.S. presidential election. 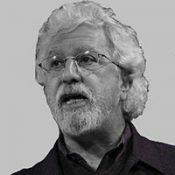 As I see it, mainstream economists adopted neoliberalism as a set of ideas (about self-governing individuals and an economic system that needs to be understood and obeyed) and a political-economic project (on behalf of corporate bosses) and ignored the enormous costs, especially those borne by the majority of workers, their families, and the communities in which they live. And it was precisely the resentments generated by neoliberalism—which were captured, however imperfectly and in a cynical manner, by Trump’s campaign (and downplayed by Hillary Clinton’s)—that many voters took to the polls one week ago. Rodrick is absolutely right: mainstream economists’ own models include at least some of the losses from trade—in terms of outsourced jobs, declining wages, and rising inequality—but, in their textbooks and public interventions, they routinely ignore those losses and take the position that globalization and free trade need to be celebrated, protected, and expanded. Lest they create an opening for the “barbarians” who are critical of the conditions and consequences of capitalist globalization. 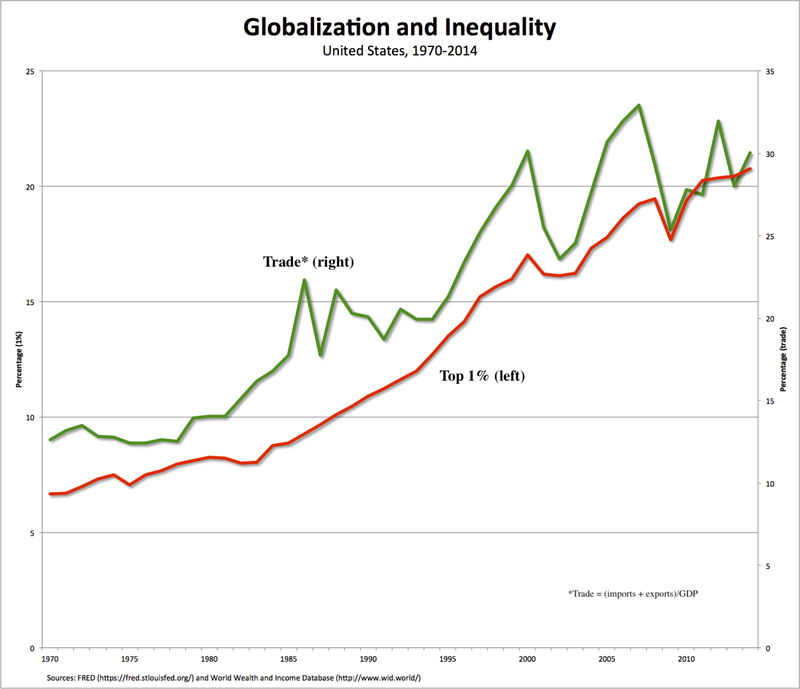 Those of us who have been critical of free-trade agreements and the whole panoply of policies associated with globalization and neoliberalism understand they’re not the sole or even main cause for the deteriorating condition the U.S. working-class has found itself in recent years and decades. 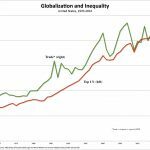 Neoliberalism is not just globalization, as it includes a wide range of strategies and structural changes that have boosted the bargaining power of employers vis-à-vis workers—from the adoption of labor-saving technologies through the growth of the financial sector to a deterioration of the social safety net. 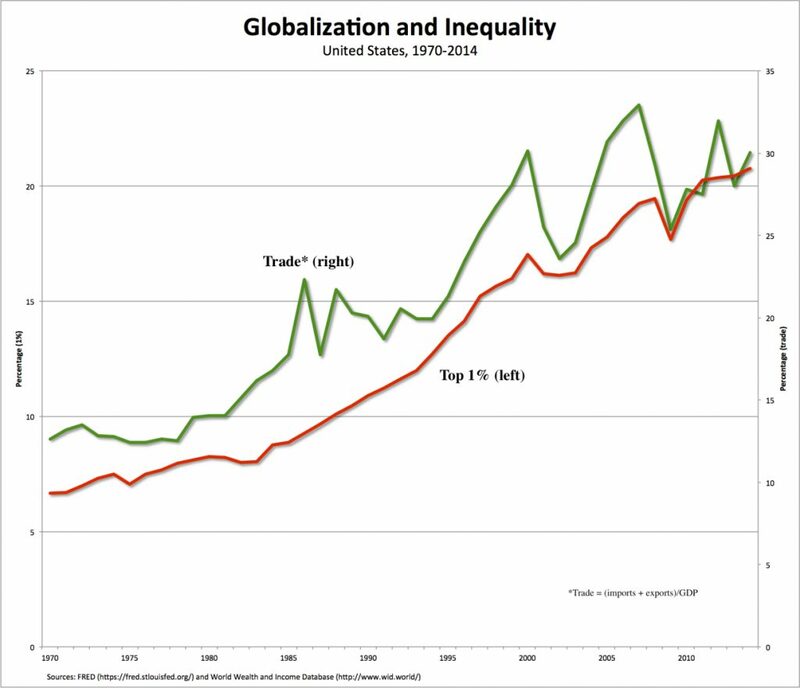 But we also can’t ignore the correlation, since the early-1970s, between globalization (measured, in the chart above, by the sum of exports and imports as a percentage of GDP, which is the green line on the right-hand axis) and inequality (measured, in the same chart, by the percentage of income, including capital gains, going to the top 1 percent, on the left-hand axis). There are lots of economists, both everyday and academic, who understand that a tiny group at the top has captured most of the benefits of trade agreements and other measures that have allowed U.S. corporations to engage in increased international trade, both importing and exporting commodities that have boosted their bottom-line. Meanwhile, many American workers—many of them voters in Pennsylvania, Ohio, Michigan, and Wisconsin—have lost jobs, received stagnating wages, and suffered as their local communities deteriorated. However, mainstream economists, in their zeal to push globalization forward, ignored those problems and concerns. They thus paved the way and deserve a large share of the blame for Trump’s victory. *Readers need to keep in mind that, when Rodrick refers to economists, he’s actually referring only to mainstream economists (which is the only group he seems to recognize). Other, so-called heterodox economists have never been so sanguine about the effects of neoliberalism or capitalist globalization.